We are a fence, gate, and deck contractor based out of Edmonton, Alberta. We provide commercial, residential, agricultural, & industrial fencing solutions. Fence Tech specializes in wooden fence construction for residential, new subdivisions, commercial applications including strip malls, churches, apartment complexes and acreages. From installing a fence post to building complete fences, the perfect fence requires knowledge of architectural guidelines set out for specific areas, the right tools for the job and the expertise to correctly operate these tools. Here at Fence Tech, our professional staff meets these guidelines using industry leading tools and equipment. We are dedicated to exceeding your expectations, giving you a worry-free building experience. Please take your time to look through our website displaying various pictures of previous commercial and residential jobs, testimonials and services we provide. Western Canada's most comprehensive Manufacturer, Supplier and Installer of Chain Link, Vinyl (PVC) & Ornamental (Wrought Iron) Fence, Automatic Gate Operators and Related Fence Products for Industrial, Commercial, Residential and Agricultural applications since 1981. Olivec Canada Ltd. specilizes in temporary fence construction panels We offer various color options, sizes, and custom order abilities and short production times Superior Quality and Competive Price We offer Price Beat Guarantee - If they have the same quality product and features we will beat their price! Pro-Link Fencing was founded in 2001 by Kevin Miller in Sherwood Park, Alberta. The company started its first 2 years doing strictly residential chain-link fencing in the Sherwood Park area. In 2004 Pro-Link Fencing expanded its install area to Edmonton and surrounding areas. Pro-Link Fencing also added commercial installation of chain-link fencing. 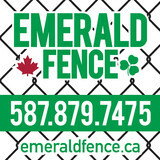 In 2005 Pro-Link Fencing expanded once again to offer services in Central and Northern Alberta including Fort McMurray. Pro-Link also added vinyl and ornamental fencing to their services. 2005 also marked the move from Sherwood Park into Edmonton. In 2006 Pro-Link Fencing added 1 portable welding truck and became Pro-Link Fencing & Welding. In 2008 Pro-Link Fencing & Welding added 2 more portable welding trucks as well as 2 more fence installation crews to handle the growing demand for Pro-Link fence installations. Able Ornamental Ironworks can manufacture and recreate virtually any existing railings, gates or fences out of steel or aluminum for commercial or residential projects. In addition to our broad variety of high quality standard railings, fences and gates we can suggest custom fabricated products to meet your specific requirements. Established in 2008, Bosko Exteriors Ltd. is one of Edmonton's highest quality fence and deck specialists. Providing top quality and service at an affordable price has helped us achieve this. We also provide free warranty on all our work because we know our structures are built to last. If you would like to book a date to have us come and give you a free estimate, please give us a call or send an email. Keystone Iron Designs specializes in wrought iron design and welding. We will build nearly any design you can imagine for fences, gates, railings, furniture and almost anything else you need. From small ornaments and projects to the largest gates and fences. All custom designed and fabricated to your liking. Vinyl fencing has become the #1 choice in the fencing industry. The reasons are simple; beauty, durability, and zero maintenance. Just as Vinyl window frames and Vinyl siding are the choice of homebuilders today, vinyl is becoming the top choice when it comes to fencing and decking. 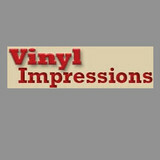 Yes, our initial cost is a little higher than wood or chain link, but vinyl pays off in the long-run. There is no need to paint or stain, and any marks or graffiti can be easily wiped off with a household cleaner. Your vinyl fence will stand the test of time and increase the resale value of your home, not to mention having the best looking fence on the block. Advantage Fencing is known for the quality workmanship and service that we provide our customers. We have our own installation crews with the owners participating in the installation. We strongly feel that you can never be too big to go out and get your hands dirty and interact with our customers. This strong attention to detail is the reason why over 80% of our jobs come from referrals. 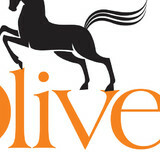 We know that the only way we can grow our business is to make you, the customer totally satisfied. We offer professional installation, workmanship warranty, supplies for the Do-It-Yourselfer and for residential, commercial, condominium, and acreage projects. Rite-Way Fencing has been in business serving Western Canada for thirty plus years and is currently one of Canada's largest fencing companies. Founded in Abbotsford B.C. in 1979 as a chain link fence company, we have since grown from serving the Metro Vancouver and Fraser Valley to serving the provinces of British Columbia, Alberta and Saskatchewan from our eight locations. Each of these branches can provide superior chain link fencing, vinyl fence, ornamental iron, gates and other steel products and installations. We are a family owned & operated company serving residential & commercial customers with over 20 years experience in the industry. Using both galvanized & coloured chain link fencing as well as stone wall & ornamental iron. We install fencing, posts, gates, dog runs, boulards & construction panels. For those that prefer to install yourself we drill post holes 6 inch, 9 inch & 12 inch with depth up to 6 feet. Installation of gate operators is a specialty we offer. 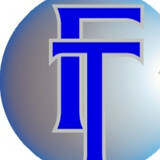 All customers are treated like family & our business is based on referrals. Please contact us for your free estimate. We look forward to serving you! Whether you need to secure your yard or just add some decorative flair to your landscape, fences are an integral part of a home’s exterior and curb appeal. Given their security and aesthetic importance, they need to be designed, installed and repaired correctly — luckily, fence contractors in Saint Albert, AB can help. From devising custom fence designs to general fence repair and maintenance, these pros will have your fencing looking fancy in no time! Your Saint Albert, AB fence installation and repair professional will work with you to create your ideal fence. Fence installation or replacement. If you are in the market for a brand new fence, a contractor’s services will include walking you through various fence styles and materials, determining a suitable height, ensuring that all fence designs and plans are compliant with Alberta building codes, and that the fencing meets both your stylistic and security needs as the homeowner. Fences and gates must complement the grade of your property as well as the type of soil you have, so the contractor should always plan around these considerations. Additionally, if you don’t know exactly where your property lines are, he or she can commission a survey for you. Find a fence contractor in Saint Albert, AB on Houzz. Narrow your search in the Professionals section of the website to Saint Albert, AB fence contractors. You can also look through Saint Albert, AB photos to find examples of fencing and gates that you like, then contact the professional who worked on them.